Image: Winter Evening by Bryan Larsen. Copyright 2017 Bryan Larsen - All Rights Reserved. A sizable and ever-growing body of resources is available for people interested in studying Ayn Rand’s philosophy, Objectivism. Some of it is excellent, some is good, some bad, some abysmal. Because my work requires familiarity with much of what is produced in this area, and because I want as many people as possible to understand this vital philosophy, I’ve put together a list of resources I recommend toward that end. The list (below) currently includes books, essays, courses, lectures, interviews, and organizations. This is a living document, which I’ll elaborate and update over time. Inclusion of a resource here does not imply my endorsement of its every word, contributor, or employee. Inclusion implies only that I regard the resource as substantially valuable for learning about the philosophy and its proper applications. If a resource is not included, it may be because I’ve not yet familiarized myself with it, or because I regard it as unworthy (e.g., organizations or products that misrepresent Objectivism to an extent that makes them more harmful than helpful), or because I overlooked the resource while preparing this document. Suggestions for additions are welcome. The most important resource for understanding Objectivism is your own reasoning mind. In a certain respect, this point is too obvious to warrant mentioning. In another respect, it can’t be emphasized enough. So I’ll say a few words about it upfront. Objectivism is often misrepresented by those who fear its actual nature. One of the most widespread and destructive misrepresentations of the philosophy is the claim that it is a set of dogmas issued by Ayn Rand that you must accept and follow in order to be a “good Objectivist.” In other words, this assertion goes, the absolutism of Objectivism is like the dogmatism of religion: doctrinaire, authoritarian, confining. But it is not. And understanding the difference is essential to understanding Objectivism. Objectivism is indeed a philosophy of absolutes. It’s a system of black-and-white principles. It is also utterly non-dogmatic and profoundly liberating. And its reality-based, life-serving nature lies in the integration of these facts. Objectivism identifies absolutes about the nature of reality, man’s means of knowledge, the requirements of human life, the source and nature of rights, the moral purpose of government. Its principles are black and white because reality is black and white: Things are what they are; they’re not what they’re not. An idea is either supported by evidence and logic, or it is not. An action either advances human life, or it does not. A law or policy either initiates physical force and thus violates individual rights, or it does not. And so on. Objectivism recognizes and upholds such absolutes, but it does not call for you to accept them on faith or because some authority said so. Rather, Objectivism calls for you to look at reality for yourself, to use your own mind, and to draw first-hand conclusions on the basis of your own observations and logic. If an idea doesn’t make sense to you, if you don’t see how it is supported by facts, then, according to Objectivism, you should not accept it as true. And this applies emphatically to the principles of Objectivism. This is the Objectivist principle of independence. And it too is an absolute: If you want to understand some aspect of reality, you must perceive the world with your own senses and integrate your observations with your own reasoning mind. Of course, you can learn from other people by listening to what they say, considering their arguments, observing their actions, and relating what they say or do to what you know. But the fact remains that in order genuinely to understand an idea, theory, or subject, you must rely ultimately on your own observations and logic. You must establish and maintain a primary orientation toward the facts as you see them, not toward the views or opinions of other people. Because of this absolutism, Objectivism is profoundly liberating. It does not issue commandments or “categorical imperatives” from on high for you to obey. Rather, the philosophy identifies observation-based principles of the if-then variety—such as: If you want to understand reality, then you must observe reality and think. If you want to live and flourish, then you must think and act accordingly. If you want to live in a social system that enables human flourishing, then you must specify the nature of such a system and work to establish and maintain it. Such principles are not dogmas. They are recognitions of the law of cause and effect. And they do not confine or constrict you. They free you. Specifically, they free you from the subjectivist nonsense that “reality is whatever the social consensus says it is”—and from the religious nonsense that “reality is whatever the divine consciousness wills it to be.” Reality, Objectivism acknowledges, exists independently of any consensus or consciousness. The function of the mind is not to create reality, but to comprehend it. And the mind is an attribute of the individual. Applied to the aim at hand, this particular absolute means that if you want to understand Objectivism, you must activate your mind and consider the philosophy as it actually is—not as those who fear the philosophy falsely portray it to be. If you approach Objectivism with a commitment to seeing for yourself what it actually says and means, then whatever your assessment—whether positive, negative, or mixed—it will be your assessment. And that, of course, is what matters. The most important materials for understanding Objectivism are Rand’s own works in which she sets forth the elements and principles of her philosophy. These include her four novels as well as her many nonfiction works. Rand’s works are listed here in order of their publication. The Ayn Rand Column (1962, published as a book in 1991, expanded in 1998) is a collection of articles from Rand’s weekly newspaper column written for the Los Angeles Times during 1962—plus (in its later book form) several essays and brief articles on topics ranging from Americanism to Christmas to stamp collecting. 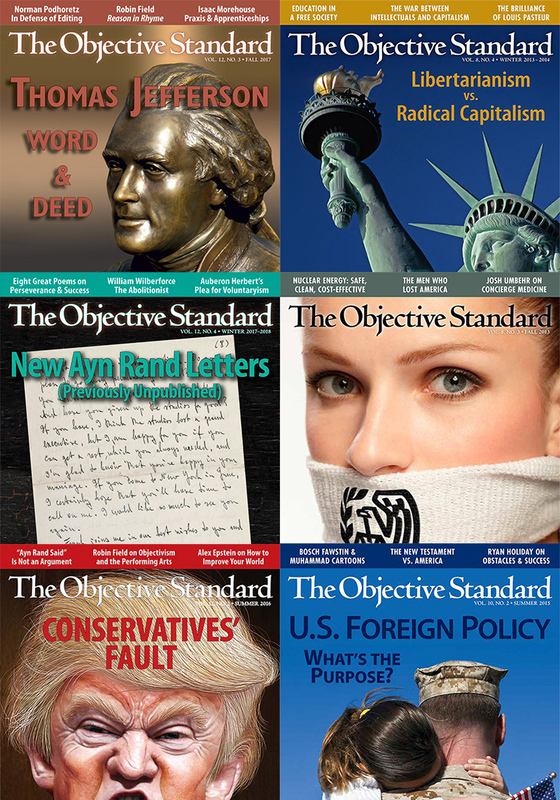 The Objectivist Newsletter (1962–66), a periodical edited by and mostly written by Rand, is a collection of articles, book reviews, and answers to questions from readers. Most of the articles from this collection are included in Rand’s nonfiction books, but some, including several book reviews, are not. The Virtue of Selfishness (1964) is a collection of essays elaborating the foundations and principles of Rand’s morality of rational self-interest, as well as their implications for personal, social, and political matters. Capitalism: The Unknown Ideal (1966) is a collection of essays laying out what everyone should be taught in school about capitalism, but virtually no one is. Rand shows that capitalism is the only social system based on and consistent with the requirements of human life, the virtues of productiveness and justice, the principle of individual rights, and the harmony of rational men’s interests. The Objectivist (1966–71), another periodical edited (and mostly written) by Rand, is a collection of articles, reviews, Q&As, and items from what Rand called the “Horror File.” As with The Objectivist Newsletter, many but not all of the articles from this collection are included in Rand’s nonfiction books. Introduction to Objectivist Epistemology (1966–1967—republished in 1979 as an expanded edition, with excerpts from Rand’s workshops on epistemology) presents Rand’s theory of concepts, her solution to the “problem of universals,” and the ultimate foundation for her philosophy and for conceptual knowledge as such. The Romantic Manifesto (1969) is a series of essays on Rand’s theory of art, including its definition, its purpose in human life, and the objective standards for judging works of art. The Ayn Rand Letter (1971–76), is Rand’s third and final periodical. As with the prior two, many but not all articles from this collection are included in Rand’s nonfiction books. The New Left: The Anti-Industrial Revolution (1971—republished as Return of the Primitive in 1999 with additional essays by Peter Schwartz) is a collection of essays on education, culture, politics, and environmentalism. The Ayn Rand Lexicon: Objectivism from A to Z (1986), edited by Harry Binswanger, is a mini-encyclopedia of Objectivism, with select passages from Rand and her associates on 400 alphabetized topics in philosophy and related fields, from “Abortion” to “Zero, Reification of.” This is a great resource for quickly identifying the essence of the Objectivist position on various subjects. The Voice of Reason: Essays in Objectivist Thought (1989), edited by Leonard Peikoff, is a collection of essays and speeches written by Rand during the final decades of her life, along with several by Leonard Peikoff. Topics include education, altruism, the Vietnam War, socialized medicine, and the death of Marilyn Monroe. Letters of Ayn Rand (1995), edited by Michael S. Berliner, is a collection of Rand’s letters to various people ranging from Leonard Read (founder of the Foundation for Economic Education) to Cecil B. DeMille to Frank Lloyd Wright, H.L. Mencken, Barry Goldwater, Mickey Spillane, and Isabel Paterson. Ayn Rand’s Marginalia: Her Critical Comments on the Writings of over Twenty Authors (1995), edited by Robert Mayhew, is a collection of comments that Rand wrote in the margins of books and periodicals, along with the texts to which they refer. Journals of Ayn Rand (1997), edited by David Harriman, is a collection of entries from Rand’s personal journals. Subjects range from her recollections of communist Russia, to character and plot development in her novels, to her screenplay about the making of the atomic bomb, to a planned book on Objectivism. Russian Writings on Hollywood (1999), edited by Michael S. Berliner, consists of two booklets about the American film industry that Rand wrote in her teens, while still living in Russia, along with Rand’s “movie diary,” in which she reflects on films she viewed in Soviet Russia, Europe, and the United States during the 1920s. Why Businessmen Need Philosophy (1999, expanded in 2011), edited by Debi Ghate and Richard E. Ralston, is a collection of essays by Ayn Rand, Leonard Peikoff, et al, focusing on what businessmen need to know about freedom, capitalism, and the role of philosophic principles in defending these values. The Art of Fiction: A Guide for Writers and Readers (2000), edited by Tore Boeckmann and Leonard Peikoff, is a transcript of a series of extemporaneous lectures that Rand delivered in her living room on the art of fiction. Rand analyzes the four essential elements of fiction—theme, plot, characterization, and style—with reference to her own works as well as those of other famous authors, including Thomas Wolfe, Sinclair Lewis, and Victor Hugo. The Art of Nonfiction: A Guide for Writers and Readers (2001), edited by Robert Mayhew, is a transcript drawn from informal lectures Rand delivered to a select audience in the late 1960s. Rand explains and concretizes the nonfiction writing process, from choosing a subject and theme, to assessing one’s audience, to creating an outline, writing a draft, editing, and choosing a title. She also discusses various psychological aspects of the art, and provides some of the best, most actionable advice for writers ever put to paper. Ayn Rand Answers: The Best of Her Q & A (2005), edited by Robert Mayhew, is a compilation of transcripts of question-and-answer sessions following Rand’s various lectures. Subjects range from ethics, to modern art, to libertarianism, abortion, gun control, love and marriage, Ronald Reagan, the Middle East, racism, feminism, prostitution, freedom of speech, comedy, suicide, and Mark Twain. Objectively Speaking: Ayn Rand Interviewed (2009), edited by Marlene Podritske and Peter Schwartz, is a compilation of print and broadcast interviews drawn from the Ayn Rand Archives, including interviews with Johnny Carson, Edwin Newman, Mike Wallace, and Louis Rukeyser. Audio recordings of many of Ayn Rand’s speeches and interviews are available here, courtesy of the Ayn Rand Institute. The following resources are not works of Objectivism per se. (Objectivism is exclusively the body of philosophic fundamentals and principles that Rand developed or specified as part of her philosophy.) But the books, articles, and materials listed below are, in my view, substantially accurate representations or applications of the philosophy. Some of these resources present the author or speaker’s interpretation of Objectivist principles or theory, some apply Objectivist ideas to specific areas of life, some do both. Because understanding Objectivism involves integrating theory and practice, each kind of resource can be valuable in this regard. 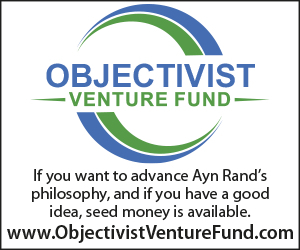 “What Is Objectivism?”, by Craig Biddle, is a concise introduction to the basic principles of Rand’s philosophy. “‘The Courage to Face a Lifetime’: On the Enduring Appeal of Ayn Rand’s Philosophy,” by Carrie-Ann Biondi, provides a clear and concise overview of some of Rand’s key ideas, addresses several common misconceptions, and shows why Objectivism appeals to so many people. Objectivism: The Philosophy of Ayn Rand, by Leonard Peikoff, is a systematic, hierarchical presentation of Rand’s philosophy, based on Peikoff’s course on the subject, which Rand endorsed. Understanding Objectivism: A Guide to Learning Ayn Rand’s Philosophy, by Leonard Peikoff, is based on a series of lectures given by Peikoff in 1983. The book (also available as an audio course) presents Peikoff’s approach to grasping and applying the principles of the philosophy. The Objectivist Forum, edited by Harry Binswanger and Leonard Peikoff, is a compilation of the forty-eight issues of the bimonthly periodical by that name, which was published from 1980 to 1987. The Objective Standard (TOS) is the preeminent source for commentary from an Objectivist perspective. 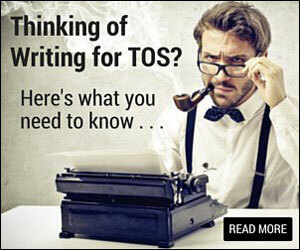 TOS produces a newsletter (TOS Weekly), a quarterly journal (The Objective Standard), books, videos, and more—all dedicated to helping people understand and apply Objectivism and rational, life-serving philosophy in general. Objectivism: Ayn Rand’s Philosophy for Living and Loving Life, edited by Craig Biddle, is a compilation of essays culled from The Objective Standard, providing a brief yet rich introduction to key principles of Objectivism and their practical significance in everyday life. “Ayn Rand Contra Nietzsche,” by John Ridpath, addresses and refutes claims to the effect that Ayn Rand’s philosophy is somehow an offshoot of Friedrich Nietzsche’s philosophy. “Here’s What’s Wrong with Ayn Rand’s Philosophy,” by Craig Biddle, is a tongue-in-cheek survey of the “problems” with Rand’s ideas—from her fundamental view of reality, to her conception of man’s means of knowledge, to her theory of free will, to her views on morality, good living, individual rights, and the proper purpose of government. Glossary of Objectivist Definitions, edited by Allison T. Kunze and Jean F. Moroney, includes formal definitions of concepts as well as succinct statements of philosophic principles. Entries are drawn from Ayn Rand’s works as well as from Leonard Peikoff’s Objectivism: The Philosophy of Ayn Rand, selected lecture courses by Peikoff, and selected works of Harry Binswanger. “The Beauty of Ayn Rand’s Ethics,” by Craig Biddle, is a brief discussion of why Rand regarded the Spanish proverb “God said: ‘Take what you want, and pay for it’” as a concise summary of the Objectivist ethics. “Atlas Shrugged and Ayn Rand’s Morality of Egoism,” by Craig Biddle, is an essay-length introduction to the Objectivist ethics. 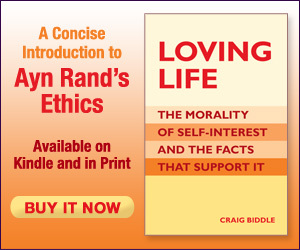 Loving Life: The Morality of Self-Interest and the Facts that Support It, by Craig Biddle, is a systematic, highly concretized introduction to Rand’s ethics of rational egoism. Viable Values: A Study of Life as the Root and Reward of Morality, by Tara Smith, is an introduction to Rand’s metaethics (i.e., the foundations and presuppositions of her ethics), showing how Rand grounded morality in the requirements of human life. The book also addresses various objections to Rand’s ethics encountered in academia. “The Mystical Ethics of the New Atheists,” by Alan Germani, examines the moral ideas of Christopher Hitchens, Sam Harris, Daniel Dennett, and Richard Dawkins, and shows that their approaches to ethics rest on the very mysticism they claim to reject. “The Is-Altruism Dichotomy,” by Craig Biddle, is a brief essay highlighting the error Rand called the “fallacy of the frozen abstraction” and showing how it retards people’s thinking in the realm of ethics. “Common Caricatures of Self-Interest and Their Common Source,” by Richard M. Salsman, examines seven common misconceptions about self-interest, exposes errors and fallacies involved in each, and categorizes the misconceptions in a novel and memorable way. “Basic Moral Theories Essentialized,” presents a single-page chart comparing key aspects of four general moral codes at play in the world today: “supernatural” subjectivism (“God”-based, faith-based morality), social subjectivism (consensus-based morality), personal subjectivism (whim-based morality), and rational egoism (aka the Objectivist ethics, which is life-based, reason-based morality). “Purpose, Value Hierarchies, and Happiness,” by Craig Biddle, zeros in on the nature and importance of purpose in good living, discusses how to organize and prioritize your values and goals with respect to their relative importance to your life and happiness, and offers tips and standing orders for making your life the best it can be. “Reclaiming Spirituality for Lovers of Life,” by Craig Biddle, argues that religion and other false philosophies have corrupted people’s conceptions of spirituality, clarifies the meaning of crucial terms in the field, and calls for a general reclamation of such terminology insofar as it pertains to requirements of human flourishing. “Egoism, Benevolence, and Generosity,” by Craig Biddle, examines acts of benevolence and generosity, showing that although such acts are not universally life-serving and thus are not Objectivist moral virtues per se, they can be, and often are, profoundly selfish. “Individual Rights and Principles of Egoism,” by Craig Biddle, considers the basic rights of individuals and shows how they relate to and arise from specific principles of egoism. How We Know: Epistemology on an Objectivist Foundation, by Harry Binswanger, presents Binswanger’s approach to epistemology, covering axioms (existence, identity, consciousness), concept-formation, propositions, logic, principles, and free will. The Logical Leap: Induction in Physics, by David Harriman, presents a theory of induction based on and inspired by Rand’s epistemology. “Ayn Rand’s Theory of Rights: The Moral Foundation of a Free Society,” by Craig Biddle, is an examination of key aspects of Rand’s philosophy that give rise to her theory of rights, as against the theories of God-given, government-granted, and so-called “natural” rights. “Capitalism and the Moral High Ground,” by Craig Biddle, examines the selfishness-enabling nature of capitalism and shows why this feature makes it the only moral social system. “Individualism vs. Collectivism: Our Future, Our Choice,” by Craig Biddle, surveys the metaphysics, epistemology, ethics, and politics of these two creeds, showing, at each level, that only one of them corresponds to observable reality. “The Creed of Sacrifice vs. The Land of Liberty,” by Craig Biddle, examines the morality of altruism and argues that it is incompatible with the basic principle of America, that of individual rights. “Independent Thinking, Morality, and Liberty,” by Craig Biddle, argues that advocates of liberty should uphold the same cognitive standard in considering moral matters as they do in considering political matters. “Libertarianism vs. Radical Capitalism,” by Craig Biddle, compares and contrasts libertarianism and radical capitalism (i.e., capitalism supported by the principles of Objectivism), and argues that only the latter provides a viable defense of liberty. “Objectivism vs. Anarchism,” by Harry Binswanger, addresses the anarchists’ claim that to maintain its monopoly, a government must initiate force in violation of the rights of those who wish to defend their own rights or to compete with the government by setting up private agencies to do so. “Rand’s Ethics and Say’s Law,” by Craig Biddle, shows that the proverb Rand regarded as a concise summation of her ethics—“God said: ‘Take what you want, and pay for it’”—is essentially a philosophic version of Say’s Law, the basic principle governing the field of economics. “Economics in Atlas Shrugged,” by Richard M. Salsman, shows how Rand’s novel dramatizes the essential principles of economics along with the fallacies involved in denying those principles. “Ayn Rand: America’s Comeback Philosopher,” by Craig Biddle, highlights principles of Rand’s philosophy that are essential to supporting individual rights and thus to restoring America as the Land of Liberty. The Capitalist Manifesto: The Historic, Economic and Philosophic Case for Laissez-Faire, by Andrew Bernstein, provides a mountain of historical facts integrated with a network of philosophic truths showing that capitalism is the only moral social system. Capitalism Unbound: The Incontestable Moral Case for Individual Rights, by Andrew Bernstein, is essentially a condensed version of his book The Capitalist Manifesto. Breaking the Banks: Central Banking Problems and Free Banking Solutions, by Richard M. Salsman, is a detailed analysis of the central banking system, its problems, and possible solutions. Gold and Liberty, by Richard M. Salsman, shows the nature and effects of the gold standard and free-market banking versus the nature and effects of fiat money and central banking. “Altruism: The Moral Root of the Financial Crisis,” by Richard M. Salsman, highlights the fundamental cause of the 2008 financial crisis, showing that widespread acceptance of the morality of self-sacrifice necessitated the kinds of laws, regulations, and decisions that collapsed markets. “Vindicating Capitalism: The Real History of the Standard Oil Company,” by Alex Epstein, examines the inception and rise of Standard Oil, demonstrates that the company’s immense success was the result not of so-called “anti-competitive” practices or “predatory pricing” but of its superior efficiency and productivity, and does long-overdue justice to John D. Rockefeller. The Prime Movers: Traits of the Great Wealth Creators, by Edwin A. Locke, surveys the characteristics of great producers and identifies several attributes common to all of them. Markets Don’t Fail!, by Brian Simpson, debunks claims that free markets can fail, and identifies the economic, moral, and philosophic principles by means of which free markets succeed. Capitalism: A Treatise on Economics, by George Reisman, is a massive book examining practically every aspect of capitalism and the philosophic principles that support it. 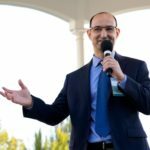 “Why ‘Big Government’ is Not the Problem,” by Eric Daniels, highlights problems inherent in focusing on the non-essential characteristic of government’s size rather than on the truly essential characteristic of whether and to what extent government protects or violates individual rights. “Religion vs. Free Speech,” by Craig Biddle, shows that the tenets of religion are incompatible with the right to free speech, and argues that those who want to establish and maintain freedom of speech must repudiate religion and embrace the rational, secular foundation for rights. “The Assault on Abortion Rights Undermines All Our Liberties,” by Diana Hsieh and Ari Armstrong, surveys the expanding efforts to outlaw abortion in America, examines the facts that give rise to a woman’s right to abortion, and argues that the assault on this right is an assault on all our rights. “Moral Health Care vs. ‘Universal Health Care’,” by Lin Zinser and Paul Hsieh, surveys the history of government interference in health insurance and medicine in America, specifying the rights violations and economic problems caused thereby; enumerates the failed attempts to solve those economic problems by means of further government interference; and argues that the only viable solution to the debacle at hand is to gradually and systematically transition to a rights-respecting, fully free market in these industries. “The Morality of Moneylending: A Short History,” by Yaron Brook, presents an essentialized history of usury, showing that, just as moneylenders are being damned and blamed for today’s financial crises, so they have been condemned and castigated for alleged wrongdoing from the beginning of Western civilization. The article focuses on the economic and moral premises that give rise to contempt for this profession, identifies the moral-practical dichotomy inherent in these ideas, and presents an alternative view of moneylending, as a noble business. “Immigration and Individual Rights,” by Craig Biddle, addresses the controversies surrounding immigration, arguing that the principle of individual rights mandates a policy of open immigration, including an objective screening process to keep out criminals, enemies of America, and people with certain kinds of contagious diseases. “The Right to Immigrate and the Legitimacy of an Objective Screening Process,” by Craig Biddle, addresses the question of how to reconcile the right to immigrate to America with an objective screening process. “Myths and Facts about a Rights-Respecting Immigration Policy,” by Ari Armstrong, explores various misconceptions about a rights-respecting immigration policy, such as claims to the effect that it permits criminals and terrorists to enter the country. “The Causes of War and Those of Peace,” by Craig Biddle, compares fundamental causes of war and peace, using a parallel structure and historical examples. A Foreign Policy of Self-Interest: A Moral Ideal for America, by Peter Schwartz, shows that self-interest via the protection of Americans’ individual rights is the only moral and practical purpose of U.S. foreign policy, and provides historical examples in support of this principle. “End States Who Sponsor Terrorism,” by Leonard Peikoff, was published as a full-page advertisement in the New York Times on October 2, 2001. Peikoff briefly surveys the U.S. policies of appeasement in the Mideast that led to fifty years of increasing contempt in the Muslim world for the United States, and calls for America to use the full force of its military to eliminate Islamic states that sponsor terrorism. 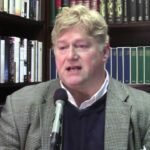 “The Jihad Against America and How to End It,” by Craig Biddle, examines the nature of the threat to Americans posed by jihadist groups and their main sponsors—namely, the regimes in Iran and Saudi Arabia—and sets forth a general approach for ending the problem as quickly as possible and with the least risk to the lives of Americans. “Ten Steps to End Jihad Against the West,” by Craig Biddle, lays out the essential steps that Westerners and Western nations can and must take if we want to end the menace of jihad and return to normal, jihad-free living. “‘Just War Theory’ vs. American Self-Defense,” by Yaron Brook and Alex Epstein, presents the principles of “Just War Theory”—the altruistic theory underlying and guiding the G.W. Bush administration’s so-called “War on Terrorism”—and contrasts them with the principles of an egoistic approach to American self-defense. “America’s Self-Crippled Foreign Policy,” is an interview with Yaron Brook, Elan Journo, and Alex Epstein discussing the dismal state of American foreign policy and what should be done about it. “‘Gifts from Heaven’: The Meaning of the American Victory over Japan, 1945,” by John David Lewis, examines the ideology of sacrifice behind the Japanese aggression that culminated in World War II; shows how America targeted, dismantled, and discredited this ideology, replacing it with the ideas, values, and institutions necessary for the establishment of a free society; and defends America’s use of the atomic bomb as a profoundly moral way to end the war. “‘The Balm for a Guilty Conscience’: Moral Paralysis, Appeasement, and the Causes of World War II,” by John David Lewis, shows how altruism and egalitarianism—combined with guilt caused by these same factors in regard to World War I—led to British appeasement and compromise in the late 1930s, which, in turn, enabled the rise of Nazi Germany and necessitated World War II. “‘No Substitute for Victory’: The Defeat of Islamic Totalitarianism,” by John David Lewis, examines historical precedent to evaluate America’s response to the attacks of 9/11—including key historical attacks against America, along with her responses to those attacks—and highlights the moral and practical issues involved, drawing vital lessons that he says Americans must grasp and apply in the current war if we want to win it. “William Tecumseh Sherman and the Moral Impetus for Victory,” by John David Lewis, presents the essential history of Sherman’s march, showing how Sherman developed and implemented his ideas that lead to the North’s victory in the Civil War, and drawing lessons that Lewis regards as essential to defeating enemies of freedom. “Islamic Jihad and Western Faith,” by Craig Biddle, examines the role of faith in Islamic jihad, and shows that to accept faith as a means of knowledge is to aid jihadists at the most fundamental level. “Israel: To Be, Or Not To Be,” by Craig Biddle, surveys the history of the Arab and Muslim assault on Israel, presents the secular case for Israel’s right to exist, and advocates a one-state solution. The Ominous Parallels: The End of Freedom in America, by Leonard Peikoff, is an analysis of the ideas that gave rise to Nazi Germany—and the ongoing propagation of these same ideas in American universities. “The Roots of Capitalism and Statism in the West,” by Michael Dahlen, surveys the history of political freedom and force, from the dawn of reason in ancient Greece to the Dark Ages, the Renaissance, and so on, up to today. “The Rise of American Big Government: A Brief History of How We Got Here,” by Michael Dahlen, examines how government in the United States, fueled by altruism, has become the rights-violating, economy-wrecking behemoth it is today. “The Role of Religion in the Scientific Revolution,” by Frederick Seiler, addresses claims that religion was somehow responsible for the profound scientific advancements that animated the 16th and 17th centuries, and shows that the cause of these advancements was not religion or faith but the partial freeing of the mind from religious restrictions and the consequent use of observation and logic. “The Hierarchy of Knowledge: The Most Neglected Issue in Education,” by Lisa VanDamme, examines the hierarchical nature of conceptual knowledge (a key aspect of Rand’s epistemology) and shows how the principle of hierarchy applies to education in general and in the teaching of science, history, and literature in particular. “Teaching Values in the Classroom,” by Lisa VanDamme, critiques three prominent schools of thought about how to teach values (or morality) in the classroom, and presents a new approach (informed by Objectivism), which addresses values objectively and non-dogmatically, through a core curriculum focusing on history, science, and literature. “The False Promise of Classical Education,” by Lisa VanDamme, surveys the methods and contents of classical education in both its religious and secular forms, and shows why both forms violate the principle of hierarchy and contradict the nature and needs of the child’s conceptual faculty. 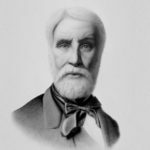 “The New Abolitionism: Why Education Emancipation is the Moral Imperative of Our Time,” by C. Bradley Thompson, tackles the problem known as “public schools,” arguing that they are fundamentally corrupt and unfixable, and must be abolished. “Education in a Free Society,” by C. Bradley Thompson, picks up where Thompson’s “New Abolitionism” left off, and offers a view of what a fully free market in education would look like, how it would it work, and how it would provide quality, affordable education for all children, including those from lower-income families. “The Educational Bonanza in Privatizing Government Schools,” by Andrew Bernstein, surveys the ills of government-run schools, shows the general superiority of private schools, zeros in on the reason for the difference, and proposes a radical change from which everyone would benefit. “Getting More Enjoyment from Art You Love,” by Dianne Durante, examines two equestrian sculptures—George Washington, by Henry Kirke Brown, and the Cid, by Anna Hyatt Huntington—and presents a method by which to approach such works in order to reap maximum enjoyment. “How to Analyze and Appreciate Paintings,” by Dianne Durante, provides a step-by-step method for viewing, assessing, and enjoying this rich visual medium. The article is accompanied by fifteen images of the paintings discussed, some of which are a feast, others of which are a foil. “19th-Century French Painting and Philosophy,” by Dianne Durante, examines the relationship between art and fundamental philosophic ideas by considering the Kantian notion that man cannot know reality by means of reason—a notion that became increasingly prevalent over the course of the 1800s—in connection with the works and words of 19th-century French painters and art critics, who, correspondingly, became increasingly hostile to reason over the same period. The article is accompanied by fifty-eight color images of the paintings discussed, which range from the sublime to the grotesque. “Metaphysics in Marble,” by Mary Ann Sures, is a brief historical survey about how metaphysical abstractions can be conveyed in a visual art such as sculpture. Outdoor Monuments of Manhattan: A Historical Guide, by Dianne Durante, is a guide to fifty-four monuments on the streets and in the parks of Manhattan. Forgotten Delights: The Producers, by Dianne Durante, is a celebration of the subjects of nineteen publicly viewable sculptures in New York City, including explorers, inventors, engineers, businessmen, and workers whose thoughts and efforts reshaped New York, the United States, and the world. “Caspar David Friedrich and Visual Romanticism,” by Tore Boeckmann, examines four paintings by Friedrich (plus one by Theodor Kittelsen), analyzes them by means of a concept Boeckmann calls design-theme, and integrates them under the concept of “visual romanticism.” The article is accompanied by five color images of the paintings discussed. 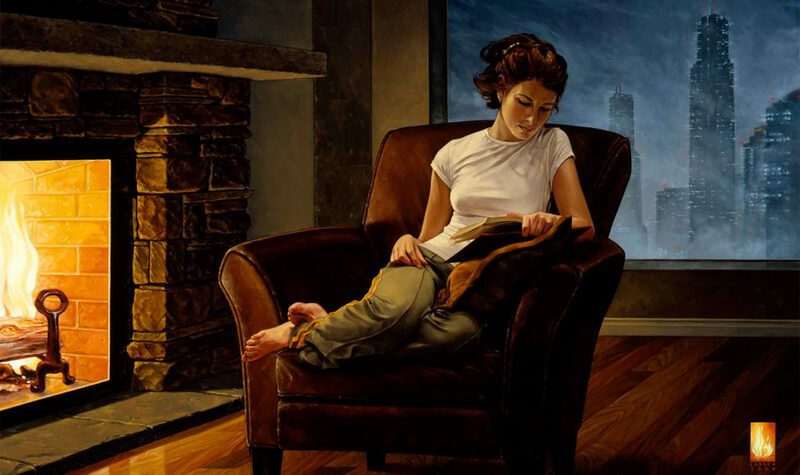 “Painter Bryan Larsen on His Artwork and Ideas” is a conversation about the artist’s work, how he became a painter, who and what inspires him, and why his subjects always look so purposeful. The interview is accompanied by ten images of Larsen’s paintings. “Interview with Still-Life Painter Linda Mann” is a discussion of Mann’s favorite painters, her own works and techniques, and the respective roles of the conscious mind and the subconscious in the process of painting. The interview includes images of several of Mann’s paintings. “Interview with Sculptor Sandra J. Shaw” is a discussion of the artist’s work, her views on art, and how she became a sculptor. The interview is accompanied by several images of the works discussed. 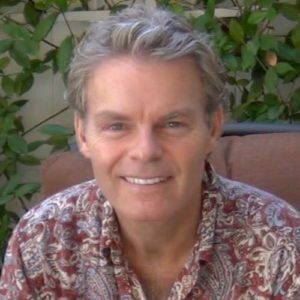 “Robin Field on Objectivism and the Performing Arts,” is an interview with the legendary entertainer, singer, actor, composer, lyricist. Field discusses his decades in the performing arts, Objectivism, how Ayn Rand literally saved his life, Reason in Rhyme, and what he’s up to today. “Robin Field: The Most Delightful Performer Ever to Say ‘A is A’,” by Craig Biddle, provides a teaser about Field’s performance of Reason in Rhyme: A Philosophic Oratorio, and the full performance on video. “Gems of Drama,” by Lisa VanDamme, is an audio course discussing and analyzing three plays: The Browning Version by Terence Rattigan, The Miracle Worker by William Gibson, and Inherit the Wind by Jerome Lawrence and Robert E. Lee. “Objectivism vs. Kantianism in The Fountainhead,” by Andrew Bernstein, examines these opposing philosophies in the story, characters, and theme of Rand’s novel. “Transfiguring the Novel: The Literary Revolution in Atlas Shrugged,” by Andrew Bernstein, examines key aspects of the book’s artistic elements. 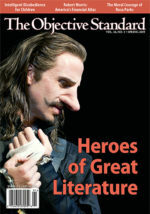 Focusing on Rand’s dramatization of the plot-theme, her use of literary techniques, and the nature and significance of key figures in the story, Bernstein shows how Rand employed such elements to tap the full potential of this art form and thus to create a supremely integrated novel. Essays on Ayn Rand’s We the Living, edited by Robert Mayhew, includes essays by Michael Berliner, Andrew Bernstein, Jeff Britting, John Lewis, Shoshana Milgram, John Ridpath, et al. Essays on Ayn Rand’s Anthem, edited by Robert Mayhew, includes essays by Michael Berliner, Andrew Bernstein, Harry Binswanger, Amy Peikoff, Gregory Salmieri, Darryl Wright, et al. Essays on Ayn Rand’s Atlas Shrugged, edited by Robert Mayhew, includes essays by Michael Berliner, Andrew Bernstein, Harry Binswanger, Allan Gotthelf, Edwin A. Locke, Mary Ann Sures, et al. Essays on Ayn Rand’s The Fountainhead, edited by Robert Mayhew, includes essays by Benjamin Bayer, Michael Berliner, Andrew Bernstein, Amy Peikoff, Leonard Peikoff, Tara Smith, et al. 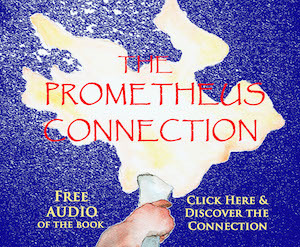 ARI’s free books program is dedicated to introducing young people to Rand’s writings. Students and teachers can contact ARI at education@aynrand.org to request Rand’s books for use in classrooms. ARI’s essay contests award prizes totaling more than $90,000 each year for essays analyzing themes dramatized in Rand’s novels. The contests are open to high school, college, and graduate students. Entering these contests is a great way to learn about Rand’s ideas, enjoy her novels, and possibly win money. For information or to enter a contest, visit ARI’s contest page or contact them at essay@aynrand.org. ARI Campus offers free lectures, courses, and articles about Objectivism or from an Objectivist perspective. In addition to some of Ayn Rand’s own works, ARI Campus offers works by Leonard Peikoff, Harry Binswanger, Tara Smith, Gregory Salmieri, and others. 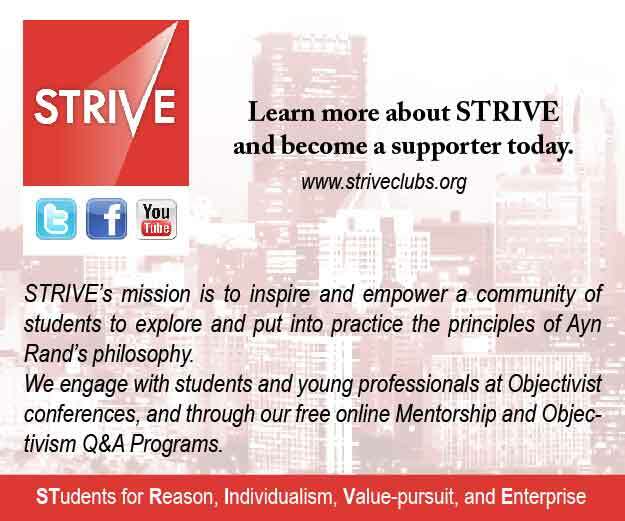 STRIVE is a student organization inspired by Ayn Rand’s philosophy, with a network of campus clubs that focus on personal and leadership development. The organization’s publication, The Undercurrent, offers commentary from students who are actively studying Objectivism. The Harry Binswanger List (HBL) is a blog and private discussion forum for people interested in Objectivism and its application to cultural issues. You can sign up for a free two-week trial here. Ayn Rand, by Jeff Britting, is a brief biography with photos of Rand and of various aspects of her life. 100 Voices: An Oral History of Ayn Rand, by Scott McConnell, is a series of excerpts from conversations with Rand’s family members, friends, fans, associates, Hollywood stars, professors, writers, and more. Facets of Ayn Rand, by Mary Ann Sures and Charles Sures, is a memoir by these two longtime personal friends of Rand. “Ayn Rand’s Intellectual Development,” by Michael Berliner, is a concise survey of how Rand developed from a bright child in Soviet Russia to one of the most popular novelists in America and one of the most important philosophers in history. Ayn Rand: A Sense of Life, directed by Michael Paxton, an Academy Award nominee for Best Documentary Feaure, is a two-and-a-half hour exploration of Rand’s life, work, and influence, featuring newsreel footage of Rand and interviews with her friends, associates, and fans. Ayn Rand and the Prophecy of Atlas Shrugged, directed by Chris Mortensen, is a feature length documentary film about the extent to which events in America today mirror those in Rand’s magnum opus. Ayn Rand In Her Own Words, directed by Robert Anderson and John Little, is a documentary about Rand’s life and philosophy, featuring her own recollections and reflections, and including footage of her interviews with Phil Donahue and Mike Wallace. * Rand wrote We the Living and Anthem before she reached her full philosophic maturity, and they do not portray the principles of her philosophy as definitively as do The Fountainhead and Atlas Shrugged.